They've got plenty of beers that make a feature of sessionability in the Temple lineup but, in mid 2018, they decided to add a beer that dipped into mid-strength territory. 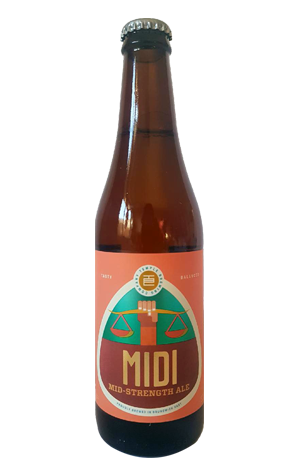 And that beer is Midi, one that may well transition into the core range over time. While the label talks about "citrus and fruity notes" from the use of classic US hops, it's more about the grainy side of things. Toasted, biscuity malts lead the way in a beer that's reasonably full-bodied with a mild bitterness and, despite being an ale, presents equally as an easy-going, malt driven lager.